Following on from the last post the next review is of another publication from Central Europe. 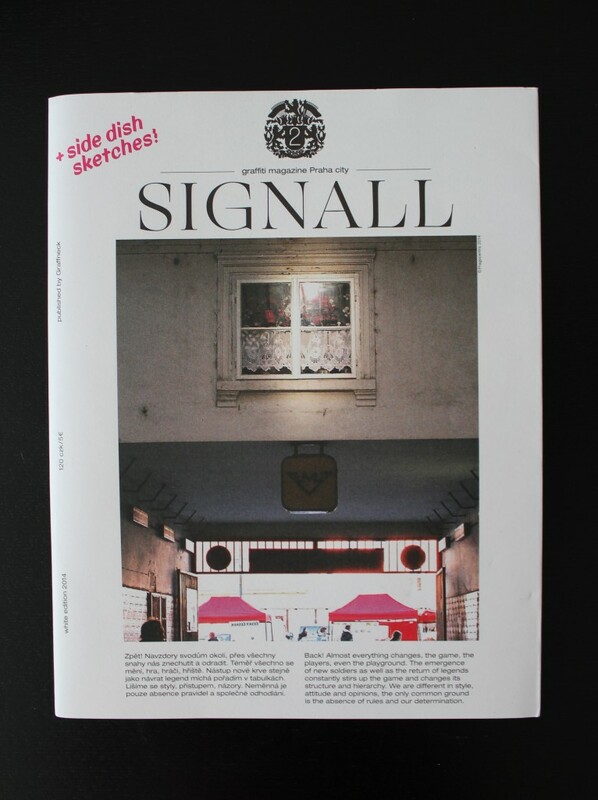 This time it’s the second issue of Signall magazine from Prague in the Czech Republic. The first thing I liked about this magazine was the front cover which reminded me of the away entrance at Luton Town’s ground. Turn over and there’s a second cover too with a painting of some sort of post-apocalyptical city where the cats and dogs have taken over. It’s the graffiti inside that’s really cool though. 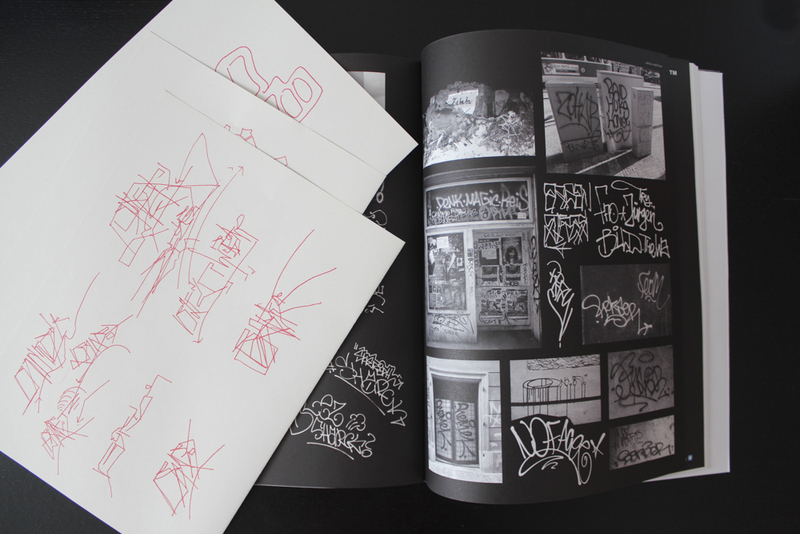 The whole magazine is packed full of dirty or naïve style pieces, throw-ups and filthy tags. Some of the pictures almost look like they’ve been done with watercolour paints such as the production on page 3 that’s another painting of an apocalyptical hippie world littered with dead bikers. The magazine carries on in this vein with all sorts of weird colourful styles on factories, roadsides and corrugated iron fences. After this there is a photo-report from what looks like India and some atmospheric shots of trains waiting around at night. The only text in the magazine is a short essay on the first free wall in Prague. The essay isn’t a conventional graffiti history of the wall but rather a history of how the site came into being. Not only is the wall put into some context but the author places it into a longer history of the site that connects the graffiti to it’s surrounding architecture, politics and culture. Viewing it like this equates the subcultural significance of this iconic wall to all the other functions and meanings the site has had. It’s actually quite an interesting angle and got me thinking about similar places I’ve visited. Following this is a black and white page of sketches, some work by Cap crew and a photographic obituary to Quest. Then there are some more tags, shutters, a few freights and tracksides. Also included with the magazine is a separate few pages of ‘side dish’ sketches and tags. There’s so many pictures I liked but in particular the ‘Pink Flamingo’ piece and all the tags. Signall 2 is fantastic and it’s definitely a magazine I’ll come back to. I came across the first Ⓐ on page 2.